To help increase program quality and participation in the Central Texas region, the THI Austin office recognizes summer meals sponsors that go above and beyond with their programs. The Excellence in Summer Meals Campaign (ESMC) is a project of the Texas Hunger Initiative, the Food Research and Action Center (FRAC) and United Way of Metropolitan Dallas to recognize Summer Meals sponsoring organizations that are utilizing best practices in programming, operations, food quality, outreach, and marketing. 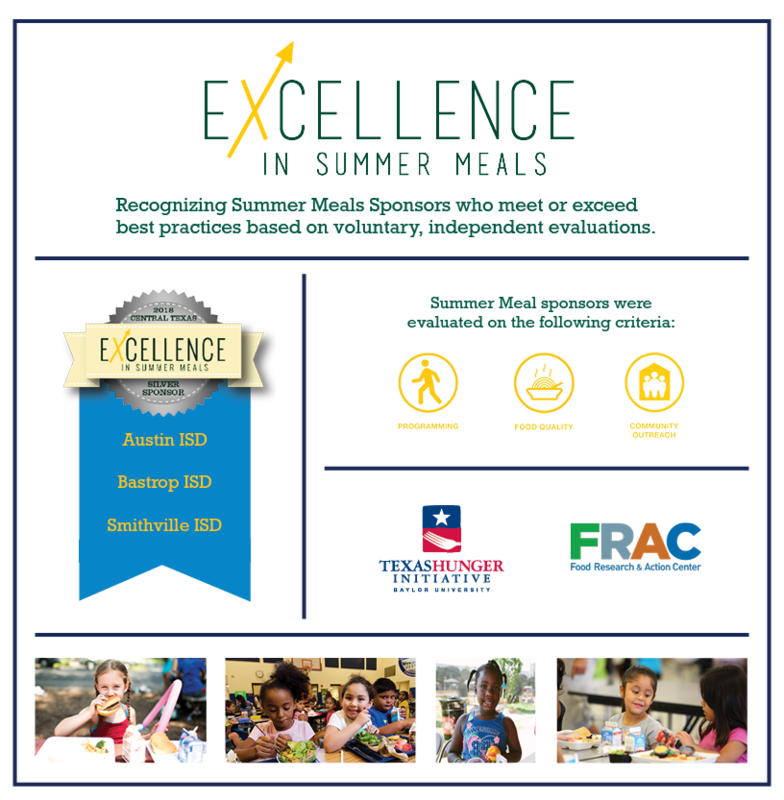 We are excited to our most recent Excellence in Summer Meals recognized sponsors! See the infographic below for the full list. The Texas Hunger Initiative – Austin and Share Our Strength have joined together to create “Breakfast Champions, a program that helps match an education stakeholder who has had a positive experience with an alternative breakfast program with a school that is instituting a new breakfast method. These champions will give guidance to help ensure that the breakfast programs in Central Texas reach as many children as possible. According to a study by Share Our Strength, one out of four children in Texas struggle with hunger. This program looks to help this statistic become a thing of the past by increasing the number of students who participate in a kid-friendly, free breakfast program. Vision: Children that participate in free and reduced-price lunch are also eating breakfast every day at school. 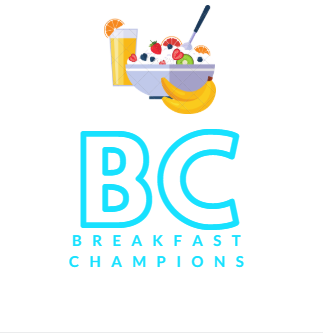 Mission: Through strategic partnerships, sharing of best practices, and modeling standards of breakfast from kitchen to classroom, Breakfast Champions will coach and support new districts implementing alternative service models to increase participation in school breakfast. “Because hungry brains don't learn, it is imperative that we provide a balanced morning meal for each student. In addition to meeting their nutritional needs, Breakfast in the Classroom is a time for children to practice meal etiquette, improve social skills, and start their day on a positive note." Our Breakfast Champions have experience running successful breakfast programs that are proven to increase participation. This program brings Breakfast Champions together to share their methods and ideas to help other schools and districts to have the same level of success. We are working to develop tools that will make it easy to draw more students to a breakfast program. We will pair a Breakfast Champion with an interested school stakeholder from a district that seeks help, to share best practices and ideas. No one should have to reinvent the wheel when it comes to breakfast success. Breakfast Champions can help make feeding more kids a no-brainer. A Breakfast Champion is a teacher, parent, administrator, or nutrition service staff member who has had a positive experience implementing an Alternative Service Model like Grab and Go, Second Chance Breakfast, Breakfast in the Hallway or Classroom, and many others. Our champions love to share their success so that others can give their students the same benefits of breakfast.